BRUSSELS, Belgium -- An important factor facilitating much of the reform in post-Soviet Ukraine in recent years has been the influence of pro-democratic foreign actors - whether countries such as Poland and Canada or institutions like the Council of Europe and the EU. But the influence of international actors is currently becoming more and more ambiguous. 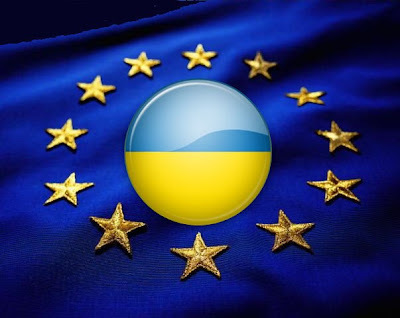 A first faux pas was the timing of the European Parliament's resolution of 25 February 2010, approving an EU membership perspective for Ukraine. The resolution as such doubtlessly constituted a step in the right direction against the background of the EU's earlier policy of promising little to Ukraine. What is difficult to understand is that it was adopted not before, but after the Ukrainian presidential elections. It would have been in the vital interests of both the EU member states and its institutions to send such an important signal to the Ukrainian people and its elites in advance of the race between the pro-Western Yulia Tymoshenko and pro-Russian Viktor Yanukovych. If adopted before the first round of the elections, say, in November 2009, the EU resolution could have restructured Ukraine's domestic political debate. It might have made the defeat of Yulia Tymoshenko - whose self-styled image is that of Ukraine's most ardent pro-European politician - in the presidential elections narrower or even unlikely. Moreover, the West has apparently played a role in legitimising the dubious formation of the new government in March 2010. Mr Yanukovych seems to have understood the problems associated with the Party of Regions, his faction's, planned takeover of the executive branch of government with the help of turncoats from other parliamentary groups. According to press reports, a day before the 11 March approbation of Prime Minister Mykola Azarov's government in the Verkhovna Rada, the new Ukrainian President consulted the ambassadors of the G8 countries about whether they would accept a government elected by individual MPs, including deserters from other parties, as opposed to one which had the backing of political blocs. Allegedly, either the majority or all of the ambassadors gave Mr Yanukovych green light under the condition that he would ask the Constitutional Court to rule on the legality issue. To Western eyes, the question may have seemed to be a purely judicial one. But Ukraine is not yet a consolidated democracy with a deeply ingrained rule of law. The court subsequently ruled in Mr Yanukovych's favour. This is strange in so far as the same court, in its decision of 17 September 2008, took the opposite view and said that individual MPs cannot participate in government coalition building. In view of this earlier ruling, the current government looks not just illegitimate from a democratic point of view, but also illegal. Mr Yanukovych's assurance to the Ukrainian public and the Western ambassadors that he would follow the court's ruling always looked empty - the relevant 2008 ruling was already in place, what he was asking in fact is for the judges to overturn their previous position. What is the most surprising in this story is that the European Parliament has been pushing Ukraine in exactly this direction. Or, at least, it has been doing so in the eyes of the Ukrainian public. On 26 March a delegation of the European Parliament headed by Romanian centre-left MEP Adrian Severin, a law professor, met with President Yanukovych in Kiev. Mr Severin is the vice-chair of the Socialist group in the EU legislature, its second largest faction. According to a report on the meeting published by the Press Office of the President of Ukraine, Mr Severin told Mr Yanukovych that "we hope that the Constitutional Court will confirm the legality of the formation of that coalition." Western observers and visitors should understand that for many Ukrainian politicians the main political question is still not what is legitimate, but what is do-able and whether they can get away with it. Ukraine's European partners should make clear that a stable government is certainly of value, but that stability 'a la Putin' [Russia's authoritarian prime minister] is unacceptable if Ukraine wants to keep its EU membership perspective alive.